Student must arrive at GVC at 8:00 am. The bus is pulling away at 8:30 am. Students will be excused from all classes. Students are responsible to convey updated pick-up information from the directors to their parents. If students do not have a phone available they can borrow from a friend or one of the chaperones. Students attending the Senior Music Tour are invited to participate in all fundraisers. Please see Mrs. Hodge for information regarding fundraisers or see the information as it is posted here. 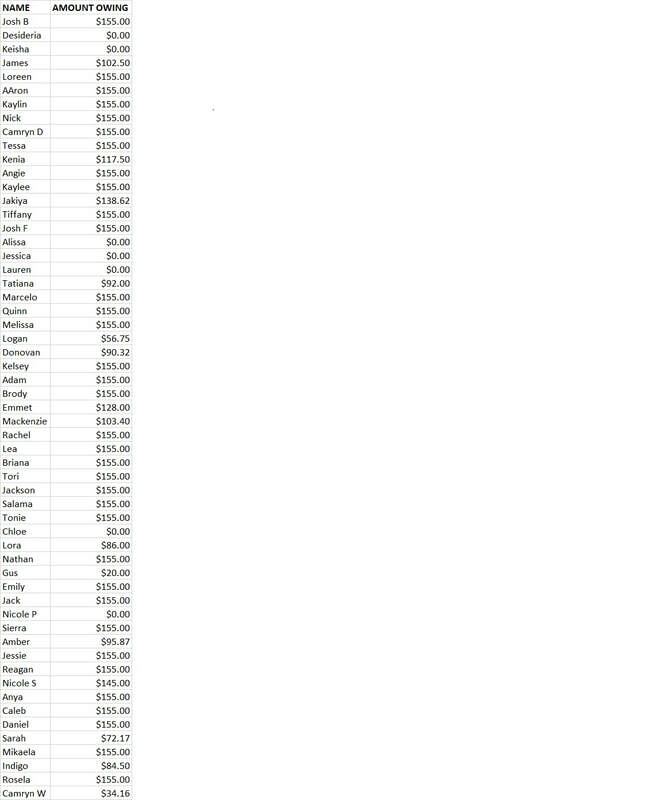 Below are the updated amounts each student owes for Senior Tour. Reminder, payment is due no later than April 12. If you believe there to be an error with the amount owing, please come talk to Mrs. Hodge. There IS a complimentary breakfast.